Download my FREE eBook. 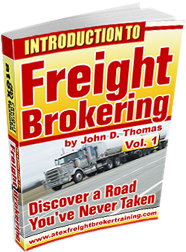 This is a MUST HAVE resource for anyone who is considering the freight broker industry (About 40 pgs, 19 Topics) Enter your email address and name for an immediate download. There have been many start-up business owners with all of the best intentions on succeeding. Yet, many of them fail … and they fail miserably. Why is this? Is it something outside of their control? For example, some business consultants point to the fact that many, if not most, businesses are “under capitalized”. So, to these consultants, it’s the lack of money that leads to failure. Money IS an essential ingredient to START a business. But, is the lack of it the biggest reason for business failure? We’ll leave that to others to determine. And let’s explore this issue of business failure a little bit more. Many successful companies started small. It all started with an idea about a particular passion that consumed these small start-up owners. It could have been an auto mechanic who thrived on making diesel engines run smoothly. And he started by himself and he continued by himself for the most part. He may have gathered a relatively small following of loyal customers because he knew what he was doing and he made a problem go away. Or it could have been a small group with a passion to develop computer software that addressed the many challenges found in areas such as health care, transportation, financial services, personnel, sporting activities and many others and these computer applications affected the lives of millions. But there’s one ingredient that set these people and their businesses apart from their competition. This one ingredient can’t be bought with money. This one ingredient is the ability for business owners to work ON their business as well as working IN their business. Too many business owners simply get burned out as they continue to work IN the business usually alone day in and day out for weeks and week and, perhaps, years and years. Learning to work ON the business gives the business owner a chance to take a step back and get the big picture without losing sight of the details. Working ON the business gives the business owner a chance to establish procedures. These procedures may serve as a blueprint where others may step in to help build or maintain the business. 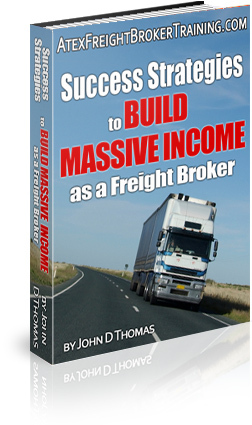 eBook – $49.00 – grab this valuable resource now! I’ll do my best to answer them. Lastly, check out my blog at the web address below. You’ll find it very helpful as well.